I'm back with my last Halloween tutorial of 2010. I saved the most extreme for last. Even when I wore this look and looked at myself in the mirror, it scared me! 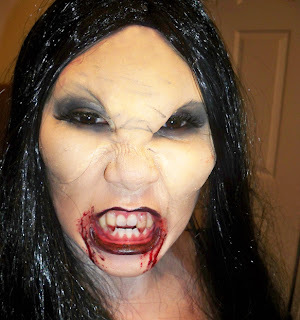 There are a gazillion vampire makeup tutorials out there, but I wanted this one to be a bit different. Do you remember the show, Buffy the Vampire Slayer? 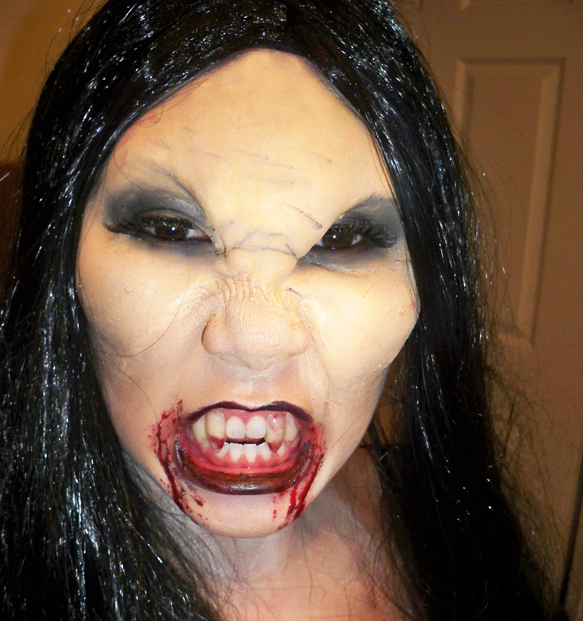 Those vampires had the scrunched up faces, and that was the look that I was going for. In the end, I really made it dark and scary by adding black around the eyes and lips, and lots of blood, lol. I was excited to try this tutorial because I would applying a foam appliance for the first time. These pieces truly transform you. 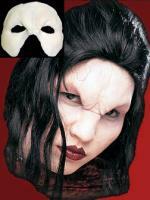 I used the Foam Latex Woochie Vampiress face from Graftobian. 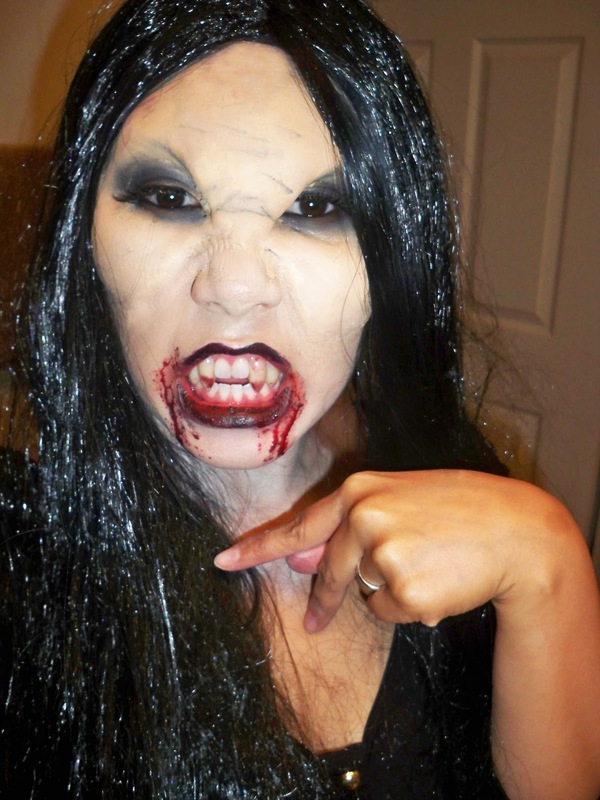 I paired it with some grease paint makeup, a wig, and some scary vampire teeth, and my look was complete. It was my first time applying the foam appliance, and I think it turned out okay. It definitely takes some practice and the key is to really try and blend the edges of the foam into your skin. If you decide to try a foam appliance this year, I'd highly recommend picking up the Graftobian Foam and Latex appliance Application kit, because it contains everything you need to apply and remove the prosthetics. Did you guys decide what you're being for Halloween this year? Surprisingly, I'm not even sure I'm dressing up, lol. Maybe I'll throw on a wig. I usually book a couple of makeup gigs the day of, so I get burnt out before I can do myself. If you know what you'll be for Halloween, let me know if the comments! FTC Disclosure: Products sponsored for tutorial. I am not affiliated with the company and not paid to make this video. These are my honest thoughts and opinions. OMG !!! soo scary !! love it !! This is truly amazing! You did an awesome job. wow ren you look scary. wow this is awesome!!! lol. Kids would definitely be scared!